Epic wants to help out indie devs by making it a little easier for them to make money on their games. Epic has increased the amount of money that a game using its Unreal Development Kit, or UDK, must make before the developers owe Epic any money in royalty payments. The new threshold is $50,000, a tenfold increase from its previous level of $5,000. Writing on the UDK forums, Epic vice president Mark Rein said that many of the teams using the UDK were just starting out, and that not having to pay royalties on the first $50,000 of revenue would help them to get properly established. He also explained that the royalty threshold only applied to money that a developer actually received, so it was the wholesale revenue that mattered, not the retail revenue. There was still a licensing fee of $99 required to sell a game made with the UDK, but that was the only charge levied against the first fifty thousand dollars. 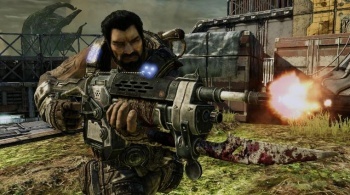 In summer of last year, Rein said that despite a focus on consoles with the Gears of War series, Epic had not turned its back on the PC, and this move would seem to make his point. $50,000 is a pretty significant sum of money for small, independent studios, and will hopefully help them to make bigger and better games in the future.